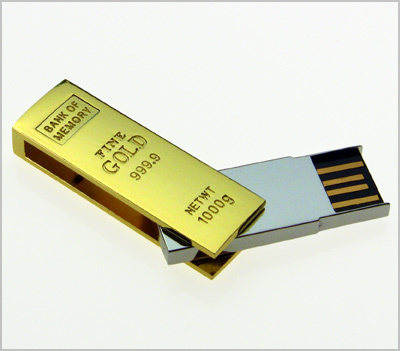 The "Gold Bar" flash drive using COB (Chip-on-board) technology, is eye catching and as a memorable marketing tool; it is as good as gold! A stylish additon to anyone’s pocket or purse. Note: No accessory for this item. Inches: 1.57" x 0.51" x 0.29"